TWO new book releases this week at The Local Store! 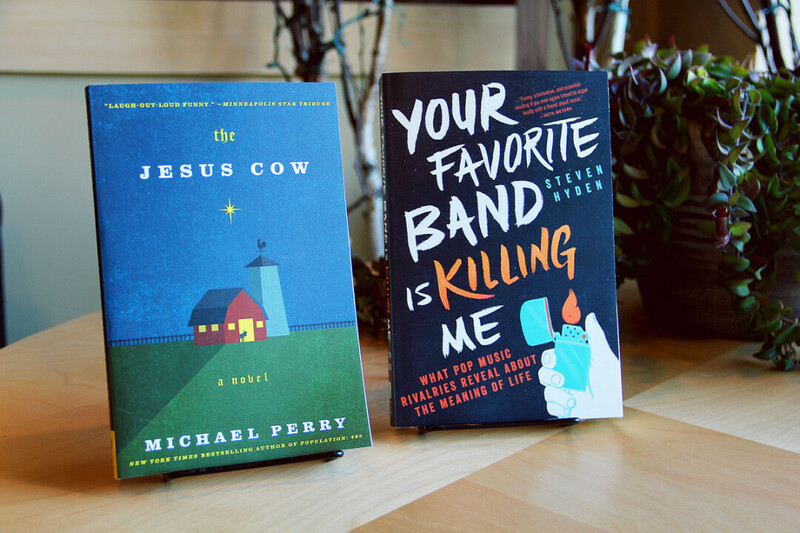 Michael Perry’s newest book and first adult novel, The Jesus Cow, is now available in signed paperback edition AND music critic, Pitchfork writer and UWEC alum Steven Hyden's new book, Your Favorite Band is Killing Me, which explores nineteen music rivalries and what they say about life, is also available now! Hyden will also be in the Local Store on Friday, June 3rd to read from, discuss, and sign copies of his new book. But that's not all! The new Jesus Cow paperback includes a special interview with Michael Perry from Eau Claire's own Rob Reid, originally published in Volume One.